Many people started their audio journey in the same way; caught between the Japanese precision of the ATH-M50x or the Brooklyn passion of the Grado SR80i. But those a little more invested in the hobby might direct you towards an Alessandro headphone instead; a manufacturer who adopts the classic design of the Grado`s with a subtly redesigned and reimagined sound. Whilst the Alessandro`s retain the almost painfully clear sound beloved by Grado fans around the world, they also provide more balance and refinement intermingled within the punchy bass response, intimate midrange and crisp highs. As my (and many others) first venture into open back headphones, let’s see how the Alessandro MS1 compares to other distinguished portable headphones on the market. Alessandro’s roots as a Grado product are clear from the packaging which shares the same pizza box design and even retains the Grado branding up top. The large, flat box showcases the headphones behind transparent cutouts and lists basic specifications on the rear. It certainly doesn’t present as well as premium $400 headphones, but there is something inherently charming about a product like this. The top lid flips open to reveal the headphones lying flat within a foam mould with the cable coiled to the side. The headphones don’t come with any accessories, it’s worth noting that all Alessandro MS1 models come with a 3.5mm jack as opposed to equivalent Grado’s which terminated in 1/4inch plugs up to the SR80i. The MS1 comes with a ¼ inch adapter since they are intended for home use, presumably with an amplifier. The MS1`s are honestly not much to look at, which can be taken as a positive or a negative; the simple design doesn’t stand out in public but you also won`t receive comments of admiration like you would by whipping out a set of B&W P7`s. That being said, the design is certainly very distinctive and, for some, even fashionable with a retro-inspired look that reflects the heritage of Grado models that came before. The same goes for the fit, they`re very much an on-ear headphone though that depends to an extent on your earpad choice (more on that later). Being especially open back, the MS1’s also produce Apple Earpod levels of noise isolation, understandably not ideal for portable use. I suppose this denotes their focus on sound quality and listening experience above all else, and although there are much trendier, perhaps sturdier headphones available for $150, the MS1 is very lightweight for long listening sessions and achieves reliability of design through sheer simplicity. The earcups exemplify this statement; they’re as simple as it gets. The bulk of the headphone is practically just a plastic cylinder with vents and print denoting the brand/model number at the rear and the drivers placed right next to the listener’s ear at the front. A thin cloth covers the front face to prevent dust and other debris from damaging the driver. That’s it. The hangers are similarly simple with no folding mechanisms for portability, they simply swivel in place. This is probably the most aggravating compromise in the MS1’s build, since the earcups tend to swivel 360 degrees and twist the cable which is fixed to both drivers. The hangers slot into the earcups via two small plastic pins making the entire headband assembly easy to remove and replace which many have done. I’ve outfitted my MS1 with a generic Auvio style headband that folds for portability and doesn’t swivel, preventing the cable from twisting. The adjustment mechanism is also a lot tighter on the replacement headband whereas the stock Grado headband has a tendency to loosen up over time due to a reliance on small rubber o-rings to provide friction on the metal pole. The same kind of thinking extends to the headband, which consists of a simple leather strap overlying a metal band. There’s really no padding to speak off but the light weight of the headphones combined with the wide surface area of the headband means that the MS1’s didn’t actually form any hotspots on the top of my head, even after several hours of listening. Another benefit of this simple design is that the headband is particularly easy to modify to the user’s head size shape, simply bend them in or out in the middle and sides and the headband assumes that contour. With the right bending, the MS1’s are very comfortable, resting on the head and ears rather than clamping to it. It’s a good idea to bend the headband outwards as a strong clamp with the scratchy Grado earpads provides a sub-par experience. But perhaps the most obviously home dedicated portion of the MS1’s is the cable, which is remarkably thick and heavy yet remains quite supple and pliable, much more so than looks would suggest. It’s also quite long at ~2m which, combined with the poor noise isolation, makes the headphones impossible for any listening outside the home, I wouldn’t even take them to a library. At least the cable doesn’t feel as if it’s going to fail anytime soon with a very thick, overly reinforced jack and matching y-split. The MS1 over Grado’s equivalent models (I and E series models exempt) terminates in a 3.5mm plug to make them slightly more liveable but the jack still won’t fit in any kind of case due to its bulky nature. The cable is soldered to both drivers for maximum stereo separation and balance but does make them slightly more inconvenient to use, the cable just gets in the way more often and generally weighs the headphones down. Honestly, I would take a thinner removable cable over Grado’s solution any day, but such a design keeps cost low and heritage true. In practice, the design is not convenient but is perfectly liveable. The open back nature of the headphones makes them practical at home, allowing users to hear their surroundings and others trying to gain their attention. Leakage is a problem if you are a high volume listener. I keep the volume below 5/16 on my HTC 10 and have had no issues whatsoever, but much higher and I can see them becoming a pest to others. As previously stated, with the right headband adjustment, the headphones are also very comfortable. Third party headbands are also easily interchanged to prevent twisting of the cable and ones with extra padding do contribute to a more comfortable listening experience. But while the design of the MS1’s absolutely defies the common focus on aesthetic design, comfort, portability and practicality of other headphones around this price, the impact on sound quality can definitely justify these shortcomings, especially if you intend to use them at home anyway. The MS1’s are a very intriguing headphone that do some things exceptionally well for the price and other things quite poorly. This is due to the bright sound signature that Grado have employed which is a very solid bright sound, but still a bright sound which you may or may not enjoy according to preference. If you want a bright sounding headphone, this is a great option, one of the best I’ve tested around this price, but that still leaves personal preference and whether you will like such a bright sounding headphone is subjective. As for the actual configuration of these headphones, early MS1’s came with flat pads and newer models come equipped with L-Cush pads, also called the bowl pads (pictured) which are somewhat semi over-ear. I’ve personally tested the L-cush, comfy and flat pads and find the bowl pads with tape mod to be the most sonically pleasing. They are also the most comfortable for me when combined with some headband shaping. The flat pads are a little too intimate and forward sounding to my ears whilst the comfy pads are relatively balanced but dampen the high end too much. Grado also offer large fully over-ear pads, but I haven’t had an opportunity to test them out. I haven’t done any of the more complicated modifications out there, simply the tape mod as prescribed by Tyll from Innerfidelity. It’s a simple and reversible modification which consists simply of wrapping the perimeter of the pad in scotch tape. I would recommend that first-time users apply the tape with the adhesive side up as to avoid damaging the foam upon removal. I find the tape mod to sound very similar to the bass boost on my Oppo HA-2, it adds low-end presence, mainly sub-bass and some mid-bass and increases lower midrange body slightly; for my preferences, just what the Alessandro’s needed. In terms of tonality, the headphones unsurprisingly have a high-end emphasis with just enough low end before the tape mod and decent balance after it. Bass is super punchy, sub-bass doesn’t have a lot of slam or impact but is present, the focus is mainly in the mid-bass which is just slightly punchier than neutral. Upper bass is about neutral as well granting lower mids with a slightly thin but enjoyable body. Lower mids are slightly recessed behind the upper mids and the treble response is similarly boosted and crisp. Upper mids are slightly forward, not obnoxiously so, female vocals sound immediate and pleasing in tone. Treble is sparkly and airy with great extension and resolution, especially around this price, I even prefer the hig end performance to a bunch of $400 headphones in terms of tonality though the Denon MM-400 and B&W P7, for example, do still resolve more detail. Soundstaging is a strong point for the MS1. They don’t have the largest soundstage out there, rather it’s surprisingly intimate on account of the forward midrange. There is the occasional out of the head moment, but the soundstage is mainly focussed on depth. Imaging is very good however and separation is fantastic, balancing out the very forward sound. All in all, the soundstage prevents the bright sound from becoming overbearing, it’s a very intricate balance and Alessandro have found a brilliant medium. The Alessandro MS1’s are reasonably easy to drive, not quite as easy as portable headphones but they remain one of the more sensitive at-home headphones. With an impedance of 32ohms, they don’t require an amplifier and didn’t benefit as much from amping as some of my portable headphones. They do scale nicely with better sources due to their resolving nature and it is best to feed them with high bitrate MP3’s or lossless files if possible. Very taught bass with bundles of texture to each note. 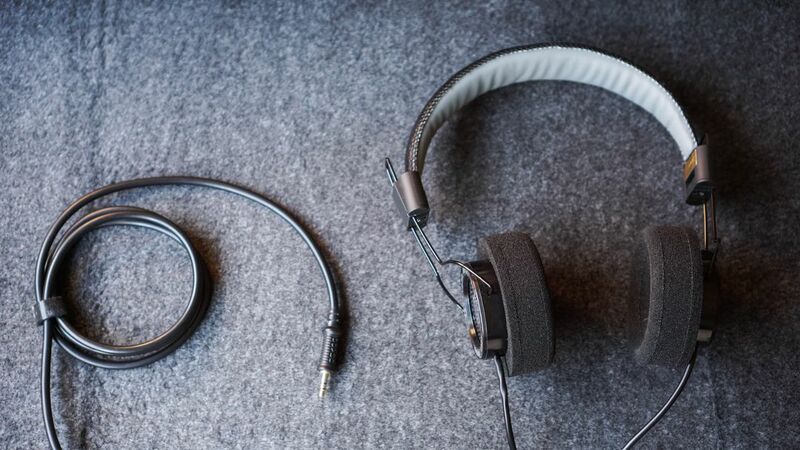 This does come at the cost of sub-bass extension which is below average when compared to similarly priced closed headphones such as the K550 and M50X. Sub-bass has slight presence but bass peters off quite strongly after lower-bass which is itself below neutral in quantity. There is a sense of fullness to the bass response but notes have little slam overall and detail in these lower frequencies tend to get lost in the mix. However moving up the frequency range, mid-bass is incredibly punchy and agile, keeping up with the quickest of bass lines with ease. It’s actually slightly boosted from neutral which then feeds into the upper bass which is similarly around neutral. The entire bass response is very tight with snap and rhythm. The headphones are definitely better suited towards rock and older pop than more contemporary music but still sounds pretty decent with modern pop. Bass never gets lost behind the midrange and sits in modest balance with the rest of the sound, there is not a hint of bloat, tubbiness or spill. Off the bat, I’ve never really been bothered by compressed audio, but the Alessandro MS1’s are ridiculously revealing of poor source material; they absolutely mince Youtube audio compression. 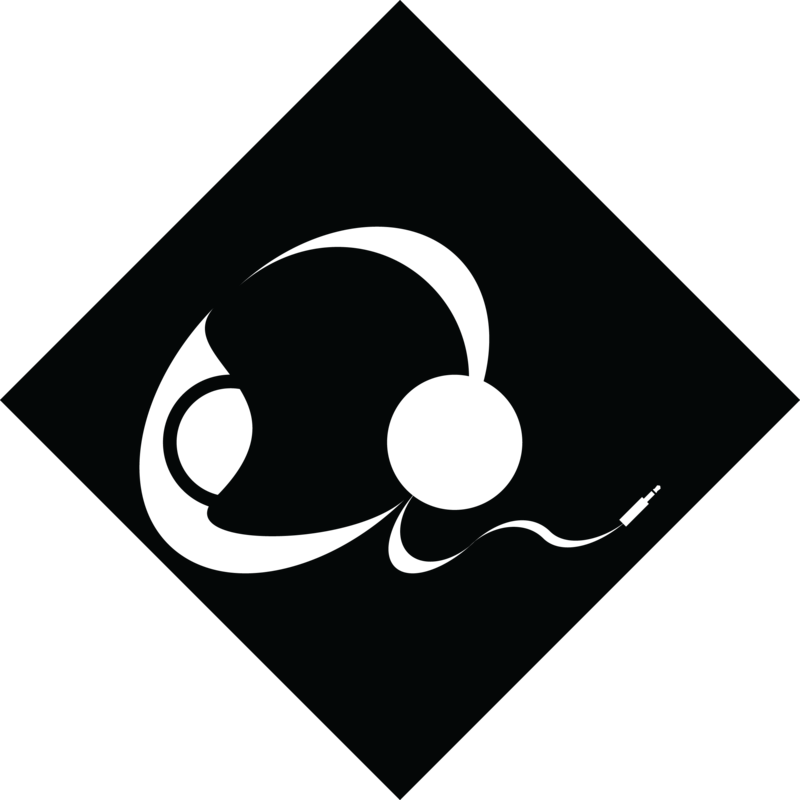 The headphones are also prone to sibilance if it is present in the source and even accentuate the distortion caused by compression. But feed them with a solid 320kbps MP3 or FLAC file and the MS1’s become an incredibly resolving, detailed listen that flatters these richer formats. The midrange is smooth and layered, picking up on nuances that the M50X’s and even headphones such as the Sony MDR-1A don’t even glimpse. The midrange response on a whole, has a slightly thinner body but never sound hollow or raspy. Lower mids are full enough to convey emotion but are also incredibly clear. Upper mids are slightly more forward with immense clarity and copious detail. The bright nature of the midrange further accentuates the resolution of the mids, bringing micro-details to the fore. Vocals are ethereal and very intimate while retaining separation due to the open back design and strong imaging performance. These headphones excel with videos as well due to their clear midrange presentation but the very mid-forward mastering of Asian artists does tend to sound almost overly forward. Regardless, the midrange is the strongest aspect of this headphone and one of the most impressive midranges, if not the best for lovers of clarity, I’ve heard around $100-150. Once again, it’s a very delicate balance when tuning a headphone in such a manner, but the open back design really does contribute strongly to separation which allows for clarity, detail and resolution unmatched by similarly priced closed headphones. Taking into account my preference for brighter sounding gear such as the Oppo HA-2, ie800 and now MS1, I can fully understand that others may not share such positive impressions though I do think the MS1 is still balanced enough to please the vast majority of listeners out there. Treble is atmospheric but slightly unfocused, resulting in a loss of detail. Whilst treble is perfectly present, actually accentuated overall, and also well extended, resolution still doesn’t quite match more expensive headphones. That being said, in their price range, the MS1’s are still a very impressive performer. Treble notes have good body to them, notes don’t sound splashy but rather nicely textured with plenty of shimmer. The emphasis does lie more in the lower treble, the highest notes are less emphasised to avoid fatigue and harshness. This does mean that strings in particular can sound overly forward on some tracks and these headphones are not a great pick for classical. But for more mellow acoustic songs, pop and rock, the sparkly treble really brings out the details. The sound is just incredibly crisp. The Alessandro MS1’s might not be the most balanced headphone out there, but for a bright headphone, they have the right balance of frequencies. They sound incredibly resolving for the price with an emphasis on clarity and definition. They bring the intricacies in songs to the fore whether it be micro-detail or compression distortion. The design is not lavish or luxurious but still comfortable and highly customizable for a headphone. Whilst aesthetic design is subjective, I still find the MS1 to be a relatively low-profile and stylish headphone in its own right. Again, the open back design, the lack of any kind of noise isolation and the brighter tonal balance all will be subjective and up to the buyer. But should you like a brighter sound and just want a headphone for home usage, then the MS1 is almost unbeatable. In addition, the modding community for these headphones is by far the largest on the net, the Alessandro MS1’s aren’t just a headphone, they are a lifestyle, and I think that says a lot about their price/performance ratio. Accessories – 2/10, Decent packaging, no accessories apart from a 1/4inch adapter. Grado offer a wide range of different ear pads that vastly alter the sound but are quite costly for what they are and none are really of exceptional quality. Design – 6.5/10, Very simple design leaves few points of failure. Adjustment mechanism is flimsy and can cause the cable to twist. Double entry cable is not ideal for wearing comfort. Headband is wide but has no padding. Earpads get scratchy over time, somewhat alleviated by washing/conditioning. No noise isolation and feel in the hand is a far cry from premium/fashion headphones. Cable is honestly too thick for the impedance of the headphones and the thick jack is impractical when using a case. Still, I don’t see the headphones failing anytime soon. Bass – 6.5/10, Lacking extension, little slam to each note. Mid and upper bass is very tight and punchy. A lot of definition and texture to each note. Mids – 8/10, Smooth, detailed with almost unbeatable clarity for the price. Perfect sense of body. Brighter tonal tilt, upper mids can sound overly forward on some songs but otherwise the quality is brilliant. Lower mids are pretty spot on. Highs – 7/10, Quite resolving and detailed but loss of focus misses out on that last bit of detail. Highest frequency details are strangely absent. Otherwise, plenty of air and extension, nice body to each note. Soundstaging, Imaging and Separation – 8/10, Not a lot of space but great depth. Separation is very good and imaging is super sharp. Midrange is well-layered, prevents bright sound from becoming overbearing and congested. Overall – 7.5/10, Scoring these headphones is quite a difficult thing to do; should I score them higher because they have a clear sound advantage over closed headphones or lower because they are ergonomically and practically inferior? At the end of the day, they could be the greatest sounding headphone in the world, but that doesn’t matter if you can’t use them 90% of the time. So I guess the fair score would lie somewhere in-between as these are a very technically competent headphone with a fantastic sound. Comfort is great, build is not. The open back design is subjective, Grado pretty much isolate you to their intended usage, which is, as an at-home headphone. So if you want a versatile headphone you can use anywhere, these are most certainly not for you, but for home use for which they were intended, the Alessandro’s are very hard to beat indeed.